Good morning polished world! How are you all doing today? It's Tuesday and it is again time for Twinsie Tuesday!! That's right, we are back for the new year with new themes! I'm kind of excited to be back because it will force me to have a more consistent blogging schedule. We will see how long I last with that! 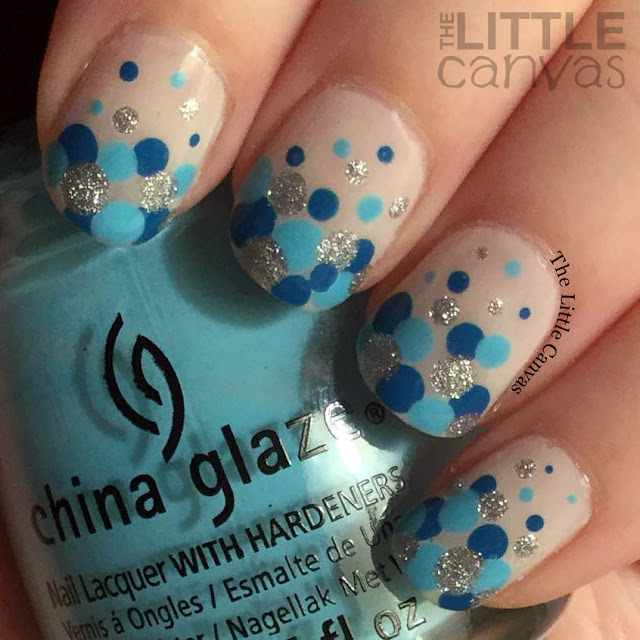 Today we are sharing dotticures! Back in October, I did a candy corn dot gradient manicure and I was in love with it. Ever since I have been wanting to do another dot gradient mani. After seeing a blue one on Pinterest, I decided it would be perfect to recreate it this week. Especially since blue seems wintery to me, and winter truly has hit my home town! Love, right? 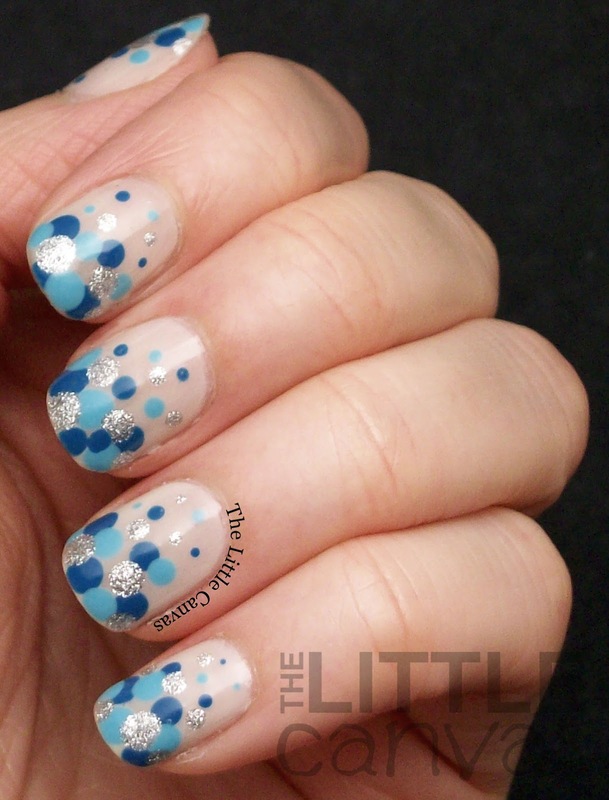 Last time I did the dot gradient on my naked nail, but since I was using blue I decided not to do that. Usually blue stains so I wanted to have a little more protection. So I grabbed my bottle of Sally Hansen Sheer Force and applied just one coat. It was the perfect way to just add a little color to my nail. I was shocked that I got full coverage in one coat, especially since the word "Sheer" is part of the name. Once my base was dry, I started to add the dots. I first applied the dark blue, which is Zoya Ling It dried super fast so I was able to then go through with Capacity to See Beyond. Once those dots were dried, I filled in the empty spaces with This Crown Needs a Gown. I let it dry for a good 10 minutes before I applied my top coat because I was scared the blue would smear. What do you think? Something you would do? Fan of this color combo? Don't forget to check out the other Twinsie's posts!! I love dotticures so I cannot wait to see what everyone came up with! I apologize my pictures are a little blurry. I wasn't feeling 100% and I think that I just wasn't paying attention. These were the clearest I could get!